The Center for Excellence in Local Government (CELG) connects many of Berks County’s municipal leaders and helps them to support their dynamic communities. The CELG promotes partnership between the public and private sectors and provides education though best practices, legislation, skills enhancement, relationship building, and citizen education. The Center for Excellence in Local Government was established at Albright College in 1994 and calls Albright’s newest academic facility, John K. Roessner Hall, its home. The center is funded by Albright College as well as municipal and private sponsors. A Community Advisory Board, representing all three sectors, provides direction and oversight, and program guidance is provided by a 20-person Local Government Advisory Council. View the CELG/BCWSA Winter 2019 eNews! The Municipal Law Forum was held on October 29, 2018. 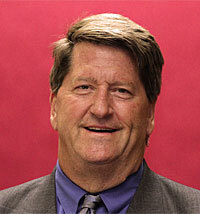 Paul Janssen, Director, has served as Director of the Center for Excellence in Local Government since August, 2012. Paul holds a bachelor’s degree in Political Science from Bloomsburg University and a Masters in Public Administration from The American University. Prior to coming to the Center, Paul was a Township or City Manager for over 25 years in four municipalities in Pennsylvania. Paul also was a consultant to local government and non-profits over the past six years including a 30 month commitment as an interim Borough Manager. Additionally, Paul has served as the Coordinator for the Consortium of Communities for Montgomery and Chester County. Andrea Weist has been the Center’s Administrative Assistant since December, 2009. She is responsible for all program promotion and registrations; communication with the Berks County Cooperative Purchasing Council, Berks Municipal Partnership and the Local Government Advisory Council, as well as many other administrative matters. Andrea is married with three daughters and resides in Muhlenberg Township. John Kramer, is Director Emeritus of the Albright College Center for Excellence in Local Government. He founded the Center in September, 1994 and served as its Director until his retirement in August, 2012. John holds a bachelor’s degree in Business Administration from Drexel University, and a master’s degree in City and Regional Planning from Cornell University. 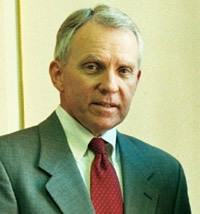 Prior to coming to the Center, John held the position of Chief Executive Officer at Cornell Cooperative Extension, Syracuse, New York, was a senior planner for the Montgomery County (PA) Planning Commission, and served as supervisor of playgrounds and community centers for the City of Reading. Council Member, Wyomissing Borough, President, Berks County Borough’s Assoc,. Mr. Daniel P. Becker, Esq. Mr. Christopher J. Hartman, Esq. Individuals completing all three courses (27 hours) receive their Master Planner Certification from the Center for Excellence in Local Government and the Berks County Planning Commission. 130 + individuals from a variety of municipal and development backgrounds have now been certified since the program began in 2000. Individuals completing their MP certification are eligible to pursue Advance Master Planner Certification in accordance the following guidelines. Goal: To assist Master Planners (and other officials) enhance their core knowledge and understanding of planning principles, techniques, and best practices they can apply to promote and sustain smart growth communities. A maximum of three units may be earned through participation in a land use training program(s) offered by another organization. Berks County Cooperative Purchasing Council – The Council is an unincorporated association of public entities organized and existing under the applicable provisions of P.L. 526 of April 29, 1937 (53 P.S. section 5431 et seq. ), as amended, and Act 57 of May 15, 1998, as amended, (Title 62 Pa C.S. 1902) known as the Commonwealth Procurement Code for the purpose of joint purchases of materials, equipment, supplies, services, and/or construction. Berks Municipal Partnership – The Partnership was established by the Center for Excellence in Local Government as a forum for discussing common issues that can be addressed on a regional level or county-wide basis, obtaining local officials’ comments on proposed cooperative initiatives; providing a focal point for communication between regions of the county and county government; fostering pilot projects on a regional level; and linking regions to resources. Governor Mifflin Area Coordinating Council – the Council was established by the Center and the participating public entities to foster on-going communication among the five municipalities (three boroughs and two townships) and the School District on issues of common interest. EHD offers an expert depth of knowledge to governments and authorities. Our Public Entity Division partners with administrative leaders to provide budgeting advice for your insurance program and training and development programs for your staff. We also provide extensive risk control and claims management services to support your safety committee and accident and illness prevention program. Hartman, Valeriano, Magovern & Lutz performs services in nearly every field of law actively practiced in our community. Our attorneys have developed individual areas of concentration, because today’s complex legal system requires lawyers to be specialized to properly advise their clients. We have committed to the use of the most advanced modern technology and methods, but we strive to retain the professionalism, seriousness and integrity that we believe our clients have the right to expect. The Greater Reading Chamber Alliance (GRCA) was formed as a result of a strategic alignment of three existing business organizations serving Berks County: Greater Reading Chamber of Commerce & Industry; Greater Reading Economic Partnership; Greater Berks Development Fund. The primary mission of the GRCA is to encourage business attraction, business expansion, job creation and business investment in an effort to foster and promote a thriving economy throughout Berks County. Kozloff Stoudt’s experienced lawyers represent clients in a wide array of transactional and litigation matters. For over 70 years, our practice has fought to protect the rights of the people of Berks County, Central and Southeastern PA. Our diversified practice enables us to provide a comprehensive array of legal services to almost every potential client. Our firm’s commitment to our clients drives us to work hard to safeguard clients from being taken advantage of by others. Spotts, Stevens and McCoy is a family-owned regional engineering, environmental, and surveying firm serving local and global clients. Our work touches everyday life; from the water you drink, to the air you breathe, to the buildings and communities where you live, work and play. Everything we do begins with a client’s need or vision to make part of the world better: cleaner, safer, healthier, faster, smarter, closer, more modern, more efficient, or otherwise more useful. We have extraordinary businesses and game-changing products – but we are at our best when we are using our collective strength to make the world a better place. The lawyers at Masano Bradley possess wide ranging expertise in different areas of the law. You will find us to be experienced, thorough, responsive and cost effective. You can become comfortable with us as both people and professionals as we strive to handle both business and personal matters with compassion and as counselors at law. Great Valley Consultants was founded in 1991 to provide quality professional consulting services in the disciplines of Engineering, Architecture, Planning, Consulting and Surveying. We provide engineering services to local governments and other public-sector entities in eastern and central Pennsylvania. We also offer comprehensive architectural and engineering services for residential, commercial, industrial and institutional projects. The Firm is a full-service law firm, known for our practice in Municipal Law, Corporate and Municipal Finance, Real Estate, Commercial and Municipal Finance, Zoning and Land Use, Business and Commercial Law, Civil Litigation, Estate Planning and Estate Administration, and Family Law. Barry Isett & Associates is a multi-discipline firm that can provide single-source engineering and start-to-finish project involvement in the design, construction, operation, maintenance, renovation, and replacement of facilities. Since 1976, McMahon Associates has specialized in delivering innovative engineering, planning, design, and technology transportation solutions to our clients. Gilmore & Associates, Inc. is one of the region’s most dynamic civil engineering firms, offering a diverse yet complementary portfolio of professional consulting services. Kraft Engineering and Surveying, Inc. has the professional staffing, knowledge, and experience to perform computer aided civil engineering design and planning services utilizing an extensive library of engineering and related disciplines.